If you're on a Technical Preview build of Windows 10, how will you upgrade to a licensed, unwatermarked copy of Windows 10 once the software is commercially available? Windows 10 Insiders will be able to transition to the final Home and Pro builds of Microsoft's Windows 10 operating starting starting July 29, the same day that consumers will have access, according to Gabe Aul, General Manager of the Operating Systems Group at Microsoft. The final release will be available to Insiders similar to how preview "flights" are currently delivered. Once installed and activated, Insiders who want to install a clean build on their PCs can do so with an ISO. Aul didn't give a date as to when Windows 10 Enterprise will be available, except to say that this edition of the OS will be available to download and activate from the Volume Licensing Center. There has been speculation in the past that Windows 10 Enterprise may not be ready until the fall. "As a reminder, the Enterprise edition of the Windows 10 Insider Preview is not eligible for the free upgrade offer and can be upgraded to the final release of Windows 10 through an active Software Assurance agreement," Aul said. The enterprise edition will give IT managers more control on when to deploy new features and updates to corporate users to ensure they have a stable experience. 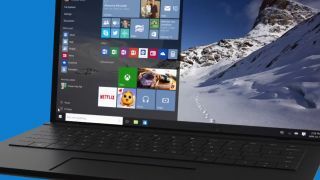 In a blog post, Aul said that in the next build released to Insiders, a Microsoft Account must be connected to your PC, but this requirement will not extend to consumers on July 29 when the OS launches. "You'll need to connect the MSA that you registered for the Windows Insider Program with (and accepted the "Microsoft Windows Insider Program Agreement") in order to continue receiving new Windows 10 Insider Preview builds (both Fast and Slow rings) from Windows Update," Aul said. "We're introducing new infrastructure in Windows Update to help us deliver new builds more effectively to Windows Insiders, and ensure that we're flighting builds to people who have registered and opted in to the program." This next Insider Preview build will finally come with Microsoft Edge. The new Windows 10 browser is currently available to Insiders, but under its codename of Project Spartan. Aul did not give a date on when the next build is expected to arrive. Microsoft previously announced that future builds for the Insider program will not come with many new features. Instead, Microsoft is working on bugfixes and fine-tuning the performance as the launch date for Windows 10 comes closer. Aul said that even though the OS will be released on July 29, Insiders can still remain part of the program after Windows 10 debuts to gain early access to features, fixes and updates in exchange for their feedback. Windows 10 will come with new features, including a new Start menu, a Halo-inspired digital assistant named Cortana and the new Microsoft Edge browser. Owners of hybrid notebooks will also gain a better user experience with Windows 10 as the OS brings better tablet and desktop support. Through a feature called Continuum, Windows will automatically optimize the experience for slate or notebook mode, depending on how you use your device.